Bryce or Arches, Which is the Better Choice? To answer the question Bryce Canyon or Arches, which is the better choice; you need to first look at where you’re coming from, and what time of year it is? Bryce Canyon has a few things going for it that Arches does not, and vise-versa. Both are great destinations when wanting to see the best country the west coast of the United States has to offer. Although, these two National parks are only 80 miles apart; they different greatly in elevation, weather and climate from each other. When planning trips between these two parks, keep in mind the current and forecasted weather, your travel time, and the current season. Arches could prove to be a little further of a drive, but that is not always a bad thing depending on your timeline and objectives of your trip. While located only nine miles from the town of Moab Utah, it still gets you off the grid. Arches, in many ways can give you much more seclusion and a little less touristy for most of the year. First, Bryce Canyon National Park is located much closer to your major highways (I-15, highway 89, highway 20, and highway 12) and airports of Las Vegas, Salt Lake City, and St George. That’s always something to think about if want to get far away from busy tourist filled areas. This does not necessarily mean that you will see more a lot more people and crowds, but it something to think about when time is usually limited. You may spend a little longer with travel to Arches, but who does not like spending time driving through some of the most scenic country the west has to offer. Moab is a huge, an added bonus when thinking about choosing Arches over Bryce Canyon. Moab is known for the some of the best biking, four-wheeling, and hiking in the country. Next, keep in mind that Bryce Canyon is all high deserts and gets extremely cold during late fall, early spring, and most winter months; where Arches is lower in elevation and will keep you out of the extreme cold temperatures. Arches because it is located in a more isolated area, you could potentially have a little more room to yourself depending on the time of the year. In winter, you will deal with more snow in the Bryce Canyon area but that opens you up to many winter activities that you will not find in Arches. 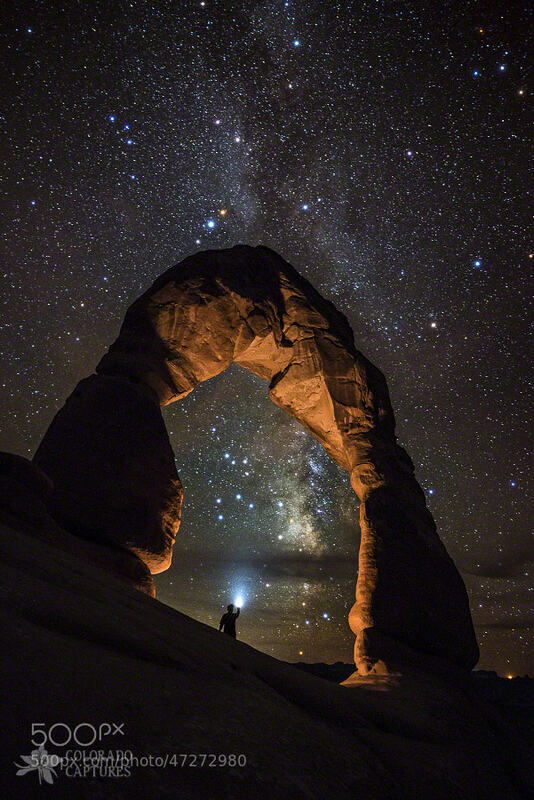 If you want a little more seclusion and stable warmer, hotter weather and temps, think to travel a little future to Arches. Arches could be a great choice earlier on in the spring months when Bryce Canyon is transitioning from a long winter to spring. You will have more options then, but it’s all relevant to seasonal and current weather conditions. Taking into consideration what your game plan is when you get to one of these parks is always something else to think about too. Arches is well known for it’s hiking, biking, four wheeling, and camping and is close enough to Moab that it’s a great choice. The Colorado River runs close to Arches but is one of the only major water sources nearby, so water sports and recreation are limited. While Arches is very similar to Bryce Canyon in outdoor activities, Arches will be a better destination for most mountain bikers and four wheel-drive enthusiasts. Arches is a little dryer climate and does not have near the water (lake, ponds, reservoirs) it does have the Colorado river just a stone throw away. This portion of the Colorado river is very mild compared to many other sections of this giant waterway. Some suggested activities in Arches include; scenic drives and hikes on Double O Arch, Delicate Arch, Landscape Arch, and Tower Arch. Hikers can find plenty of exploration and trails including; the primitive Loop in the devil garden region of the park. https://www.brycecanyon.com/wp-content/uploads/2017/09/bryce-canyon-logo-Y-W-min.png 0 0 Paul Jewkes https://www.brycecanyon.com/wp-content/uploads/2017/09/bryce-canyon-logo-Y-W-min.png Paul Jewkes2014-04-30 16:25:262017-09-22 19:17:01Bryce or Arches, Which is the Better Choice?